Notice this isn't origami BY preschoolers. I'm not that ambitious/insane. There are however a load of simple origami bits and bobs that are pretty easy to learn that the kids love to play with once they are made, so I thought I'd share a few with you that have been repeated hits with my two. Let's get the obvious one out of the way first. 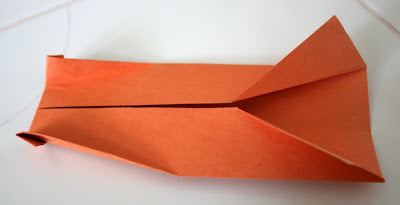 I'm not going to show you how to make a paper aeroplane because there are a zillion ways to make a good paper aeroplane that flies well and usually the way you make one has been passed down from your parents or older siblings. This shows the method for turning the folded boat inside out to finish it. 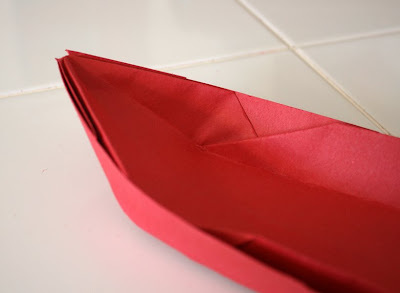 Fold out one end of the boat and then turn it around and fold out the other end. Once it's turned inside out like this, it's a rather sturdy boat. You have to be careful not to either rip the outer edge of the boat or the pointed ends, so just turn it out slowly and it should be fine. Once you can make the bigger ones then it's easy to make smaller ones too. 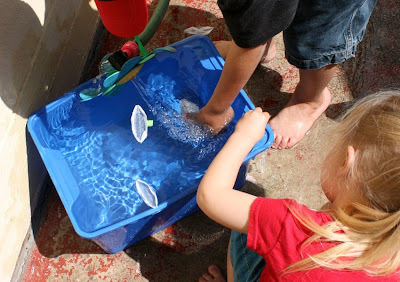 You can make them out of wax paper or tin foil too and they are good for a bit of bath time fun, or paddling pool, or on a lake. Despite being paper they hold up pretty well as long as you don't dunk them. 3. 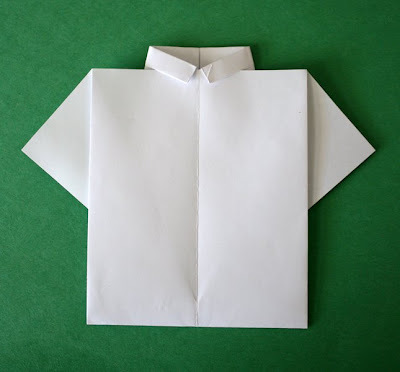 Paper shirt. I've been making origami paper shirts since high school days, usually out of used up tobacco packets (I used to smoke in uni). It was one of the first origami bits I tried to entertain my kids with at a restraunt one time and they were happy to decorate a paper shirt with pens for quite a while. 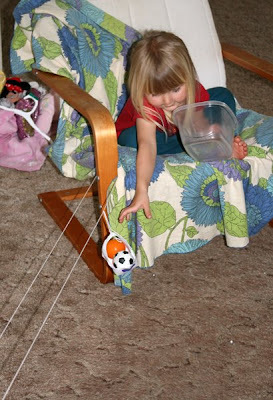 It would be fun to make a pretend clothes line in the house and peg them all out with mini clothes pegs. 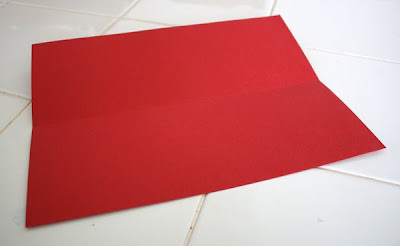 I won't show you how I make them here, because there is already a very nice tutorial showing things clearly on Alphamom here and they use them to make very sweet fathers day cards. I make the sleeves in a more simplistic way by just folding them out like below, but the shirt comes out looking pretty much the same. 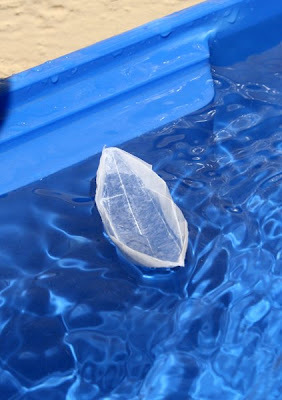 I only saw the instructions for this yesterday here and it was what made me think I should post an origami blog entry. 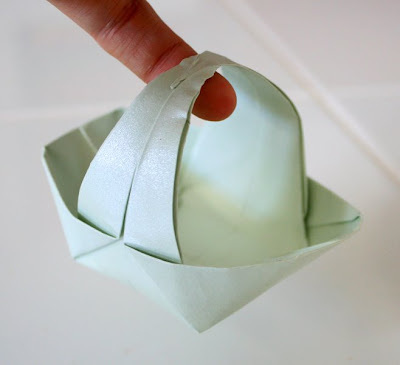 It's a fab way to make an easy origami easter basket. The kids thought these were really cute and once we'd made some they had a lot of fun playing with them as cable cars. I might have to make them a cardboard big wheel toy and use the baskets as seats on it, so they can give their toys rides at the fair. A freind in high school taught me to make these. Thank you Po Yu! They are very simple. Here is a video showing the technique. It's very quick to make a lot of them. Sometimes lots of teeny ones are fun for the kids to play with and sort into colours etc. I think I might make 26, each with a letter of the alphabet on each for the kids to arrange in order or make a game out of them. 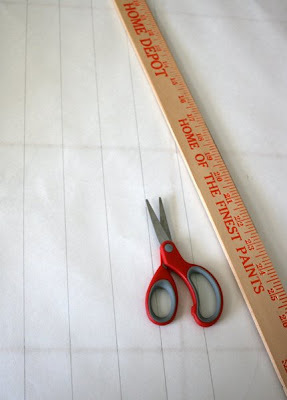 It also works out well making large ones from strips of butcher block paper for the kids to decorate with pens. They make cute ornaments. I think we might do a decorative craft with red, white and blue ones come 4th July. 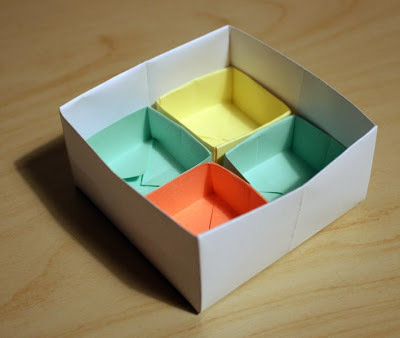 Origami boxes can range from easy peasy to rather complicated. 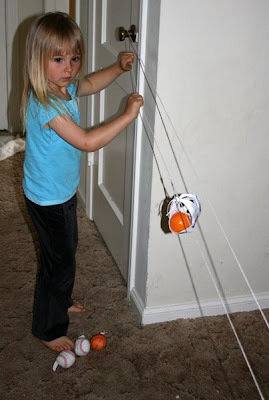 With younger kids it's best if something like this is the quick and easy version because you know it's not going to last long being played with. 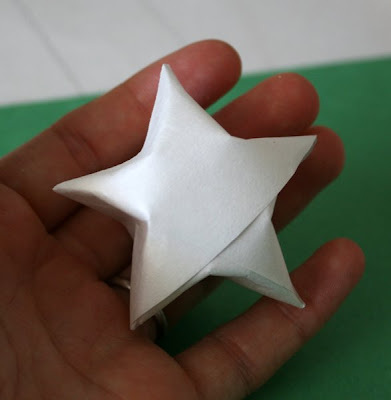 This tutorial shows a nice simple origami box that it doesn't matter if the kids squish in five minutes flat (they like pretending those are beds for toy animals and for collecting and sorting all manner of nonsense). I really like ones like this for gift boxes though. I like EASY origami. I taught myself to make a crane from an online tutorial a while back, but that's about as complicated as I've got. I like to make modular geometric origami too, but the kids are a bit young for playing with those at the moment. Most of the lower level origami animals often look nothing like the animal they are supposed to, so the kids aren't going to be that enthralled with them, but the items that I posted above have uses beyond being ornaments, so the kids seem to get a lot more out of them. 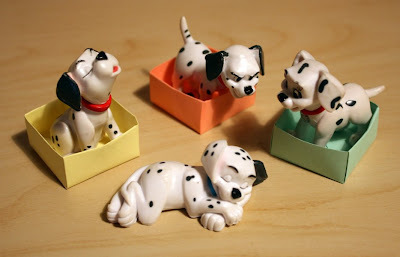 It makes me happy to see a piece of paper become a toy and of course they are recycleable, so you don't have to landfill them when the kids break them or get bored of them! It's also very very easy and unobtrusive to have a pack of origami paper, or any paper for that matter in your bag for emergency entertainment value. I've made stuff out of receipts before now. 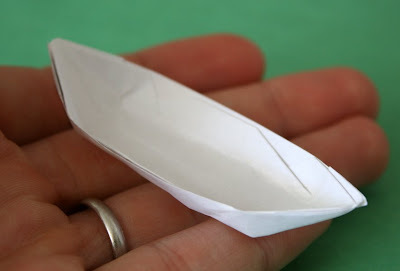 Do you have any origami toys that you make for your children? I'm always keen to widen the repertoire! Wonderful post! That cake one, too! Going to find some time to read that one again. 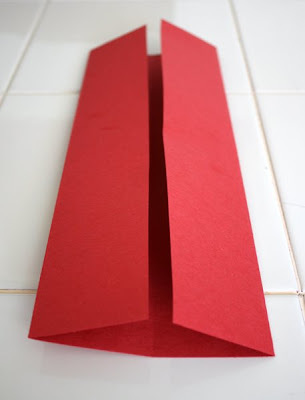 Got inspired by this origami post to put together some similarly-simple ones I used to do as a kid. Maybe later today. 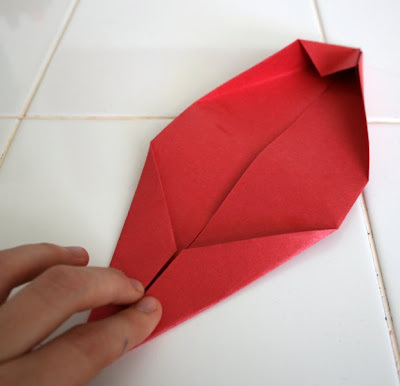 Uncle does a lot of origami and will go see if he has any stuff online, and link to him. Am excited to do some of the others for my girls tomorrow. They love origami, esp my middle one. One that you didn't show was the "balloon" -- perhaps that's what Karen was referring to with the ball her grandma taught her. 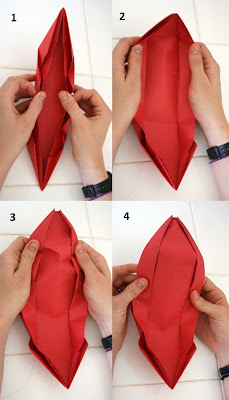 Was going to include a link, but the first few I found when I googled "origami blow up" either didn't have any pictures or didn't include some steps that I consider crucial. So I gave up. But let me know if you haven't ever seen these -- they're very cool. I just browsed through your blog. you are AMAZING! I am always trying to comeup with ideas for my 2 year old. I was always encouraged as a child to be creative and to draw and create things. I believe that is the reason I have some drawing/sketching/artistic ability. It is my goal to be like you when it comes to helping my child express his creativity!! Thank you SO MUCH for the inspiration and ideas! I love your post. My daughter and I enjoyed making lots of these baskets today (and a few boats). I just posted about it here: http://alexml.blogspot.com/2009/07/unplug-your-kids-tiny.html. Thanks again for all of your wonderful ideas! Thanks for a great roundup!